We can’t imagine life without easy access to water. In Australia we rely on access to plentiful, clean water everywhere we go. This ease of access makes sanitation and hygiene easy – we have flushable toilets that use between 4 and 12 litres per flush, we have showers, and we can wash our hands with soap as often as we like, which is more than 8 times a day for most of us. But, less than a two hour flight north of Australia, in East Timor, access to water is much less easy. Collecting and boiling unsafe water is a daily activity for thousands of people there. It can take hours to walk to a spring where you might wash your clothes and your body, and then collect 40 litres of water to carry home. The paths are often rough and slippery, and sometimes dangerous with poisonous snakes and other threats. When you get home and want a drink of water, you need to collect firewood and boil the water to make it safe to drink. All of this before you have had breakfast, and then you have to do it all again in the evening. 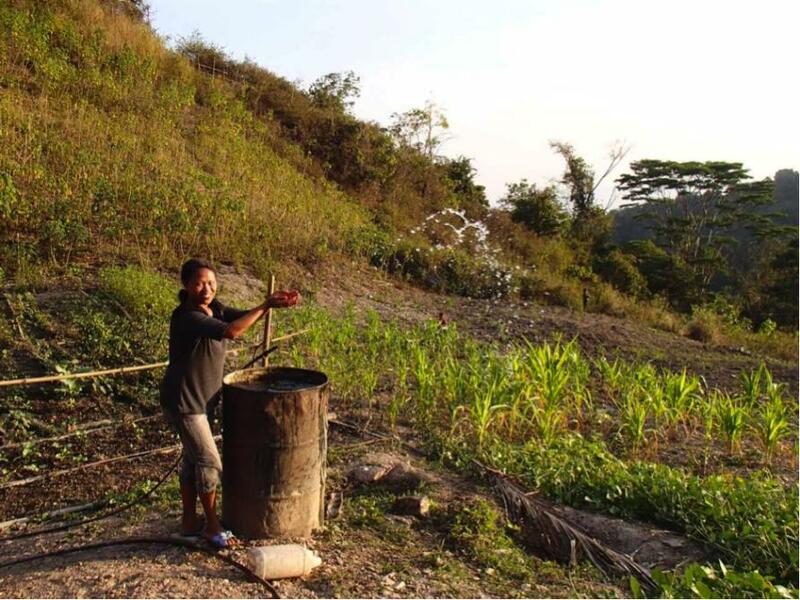 The difficulty of collecting and boiling water means that most people living in rural villages in East Timor use less than 10 litres of water a day for drinking, cooking, cleaning and hand washing. Here we would flush more than that down the toilet each day. In this water stressed country, a lack of handwashing means that children have regular bouts of diarrhoeal diseases, causing dehydration, malnourishment, long term stunting and sometimes death. 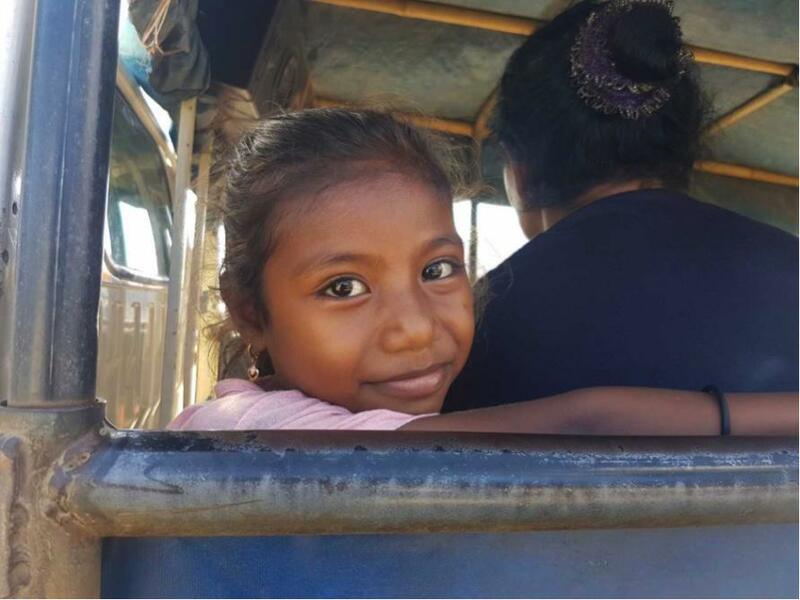 Little wonder then, that there is an ongoing effort by the governments of Timor Leste and Australia and a broad group of NGOs, to bring water closer to people’s homes. 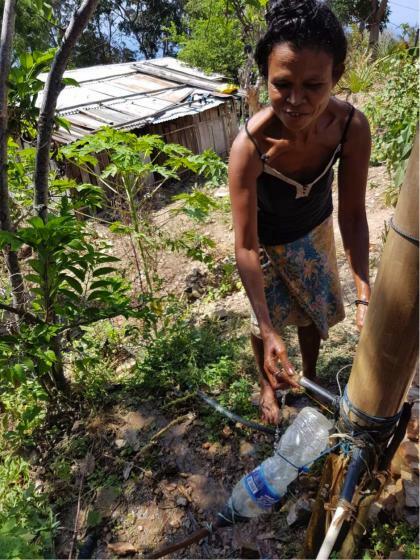 When I visited Timor Leste as part of my research into the system dynamics of rural water supply, I found this is usually achieved by building tanks in villages and piping water from a permanent spring. Residents are involved in the building and pipe laying process and they create zones around the spring to protect it from being contaminated by animal faeces. When a water supply has been built and the village can start using it, there is usually a big celebration. People can now collect water from a nearby tap stand or tank, saving each household hours of work each day. But if you return to the same villages two years later, a different picture emerges. 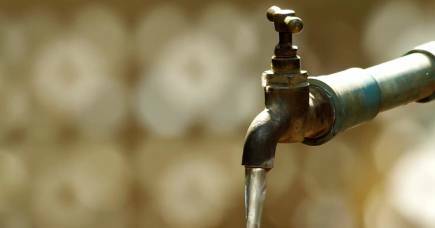 Within three years of construction 30 per cent of water supplies will be non-functional or have reduced functionality. This means that, for most people, these new water supplies are not reliable over the long term. It also means the small gains made – extra time, less work and around five litres of water extra per day per person – are lost. While these small gains don’t generally turn dusty villages into green oases, they are certainly valued by residents. So I asked ‘why?’ In a time when our understanding of the engineering and materials required to build a simple spring fed water supply should be more than adequate, why do these tanks and pipes fail prematurely? 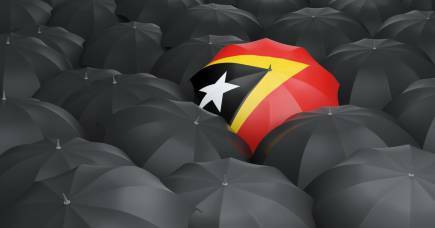 I turned to the social, political, environmental and technical issues for answers. Looking holistically at the issues around water supply it becomes clear that, almost every time it fails at least some problems could have been avoided if communities were better equipped to make decisions about their new resources. Water supply is a shared resource, which can be overused by one party to the detriment of others. This means it can be afflicted by the ‘tragedy of the commons’ – the idea that a resource is overused and not looked after because it is no-one’s responsibility. Arming communities with more information can help residents keep their water supplies functioning for longer and maintain their reliability. Installing water level indicators, so the whole community can see if the tank is refilling and how fast it is filling, helps manage how much water is taken by each household. This is especially important when environmental flows are low such at the end of the dry season, and such indicators can signal the need to repair damaged pipes before the water runs out. Residents can also use this information to manage water flows between different areas of a village, or directly to homes via hoses and pipes. I visited a village this year where there was a new tank with a water level indicator, and what I saw was an oasis. The village could manage its water so well that kitchen gardens were flourishing, even at the end of the dry season when food and water is usually scarce. Residents had added their own clever designs for channelling water where they needed it, and could make sure that there was always enough water in the tank. My research will continue to look at how residents can manage community-based resources. When communities have the tools to manage their water resources they can sustain the reliability of their water supply over the long term, giving every child a fair chance to thrive.